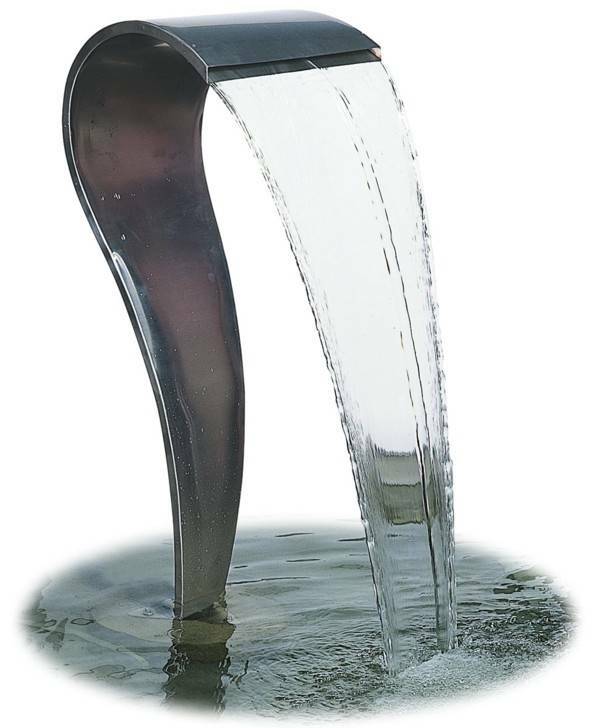 A stunning range of distinctive Stainless Steel Fountains. These unique products of European design are made to exacting standards. Highly versatile, the Calais Collection of fine fountains will add striking touches to virtually any setting. Add them to existing ponds or fountains, use them in a stand-alone application in combination with a stainless steel bowl as a reservoir (ideal for office or reception areas), or use them in a stand-alone application with a plastic water reservoir installed in the ground below (for outdoor use if you don't already have a pond).